Prestel, Lakewood, 2011. 104 pp., 55 color illustrations, 9½x11¾". Saturated with color and boldly composed, Viviane Sassen’s photographs straddle the boundaries of fashion, art, and documentary photography. 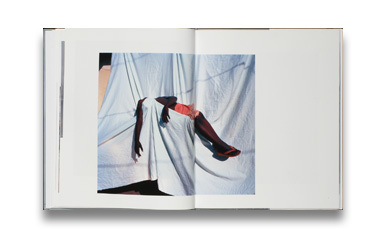 This monograph by the award-winning Dutch-born photographer Viviane Sassen features photographs from throughout West and East Africa. 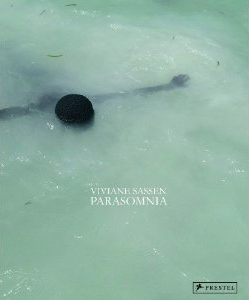 Sassen’s overriding theme is parasomnia, a sleep disorder involving strange movements, behaviors, emotions, and dreams. The otherworldly feel of these photographs, involving both human and inanimate subjects, aptly conveys an altered-consciousness point of view—one that is at home in the pages of a fashion magazine, newspaper, or a modern art gallery. Indeed, Sassen’s images have appeared in all three venues and to wide acclaim. Sassen’s photographic series is engaging and thrillingly beautiful, filled with shadow and ambiguity, and it offers a challenge to the viewers to come up with their own narrative. Read Alexandra Huddleston's review of Parasomnia in photo-eye Magazine.